It's Never Too Late. Failing Student Peaks to Obtain 66% in Matric! It’s Never Too Late. Failing Student Peaks to Obtain 66% in Matric! Consistent hard work, commitment and perseverance in 2015 contributed to Yumna ‘peaking’ when it mattered the most. This resulted in her attaining her Best Report in Matric Finals since starting school. Her transformation started in 2014, Term 2 of Grade 11; the report that was the “Catalyst for Change” in my daughter’s life. For the first time since starting school, Yumna failed. Sometimes in life when things go wrong, it could be a “Blessing in Disguise”. It certainly was the case with Yumna, who grabbed all opportunities to do everything differently. She had the motivation and inspiration and the desire to succeed at the end of her Matric year. Along with that choice came her acceptance that she needed help. Despite her confidence levels and her self-esteem having taken a knock, her determination to never let this happen again was a huge step to regaining and even improving her confidence and self-esteem and so many other aspects of her learning and life. I believed that one of the key development areas for Yumna that contributed to her low marks, was her “comprehension and reading skills”. During my research to find the right help for her, I discovered Edublox on the Internet. I immediately contacted the principal, Zainu Allie, who sent me all the information I required, even though it was after hours on a weekend. I registered Yumna with Edublox on the 3rd of May 2014. The Edublox assessment indicated the help that Yumna required. I immediately signed her up for weekly sessions as I believed that the “Reading and Learning Centre” would have right help for her and it will be a positive impact on her learning. The areas where she lost her marks were always the theory and her essay writing, never practical exams. She knew her work but never knew how to answer the questions because she never understood what was required or misunderstood the question. This was obvious when I reviewed her answer sheets of her class tests. Besides her comprehension skills, her reading skills (reading with understanding, the speed etc.) had to improve and more importantly her self-confidence had to grow as well as her internal motivation and her belief in herself. From Day 1 when she had the assessment until the last day, we knew we made the right decision. Yumna started off as a very quiet student with very little confidence. 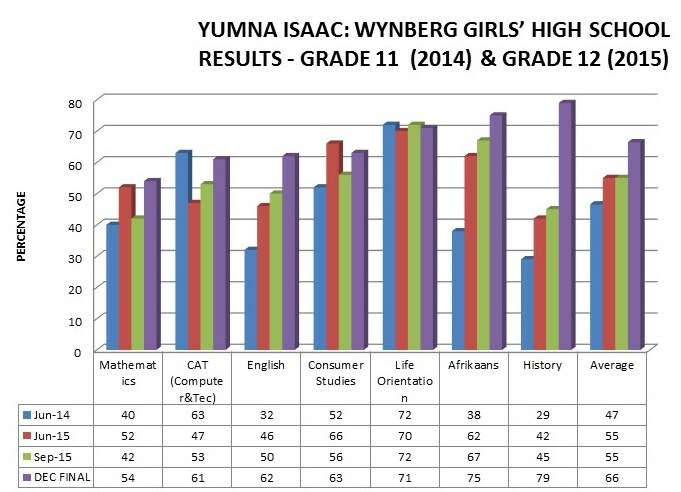 As the time progressed Yumna’s school results didn’t increase drastically but there was slight improvement and either a gradual increase in her marks or she was able to retain a previous mark. The Edublox assessment also showed ongoing progress. This was just the beginning, however, more importantly the transformation started to become very visible in 2015 – her Matric Year. Her understanding and her study skills drastically improved. Her confidence levels started improving and Yumna started participating more in class at school and Edublox and everyone started noticing her. She even started going to class on time whereas before I struggled to get her to go timeously. The more her confidence and knowledge grew, the more “visible” Yumna became. She started going into a “Happy Space”, making new friends, helping others (peers and those in lower grades), communicating with everyone, the list is endless. At school her peers were approaching her for help, she started attending extra tutoring classes at school and often she was the only one but that never stopped her. She started using all the resources available, whether study guides, or teacher’s tips, or tutoring or the Internet or available apps, old question papers, me as her study buddy etc. She started doing extra homework on her own e.g. in Afrikaans they had access to an app where the Teacher loaded memos and only once completed, one got access to the next. Yumna was ahead of the class as she had to keep requesting the next memorandum. Yumna finally started showing her hidden potential. Yumna started reading, this was really significant as I had previously struggled to get her to read. She not only read her setwork books but knew and understood them. Even poetry that she previously struggled with became something she enjoyed. Maths and History became her favourite subjects. She even competed in the SAMF Maths Olympiad and the UCT Maths Olympiad. Her essay writing started improving, this was visible in her Afrikaans, English and History marks that started going up. She finally understood what was required and how to answer questions, especially essays. She worked consistently hard in her Matric year and used every resource available to help her prepare for her Matric exam. She applied for two different 2015 Matric leadership positions and was successful viz. Matric Committee and Muslim Students Association Committee. The Department of Education sends a Moderator to school for moderation – Yumna was elected for Afrikaans moderation, after her assessment the Moderator increased her marks and she had no negative feedback. The Valedictory at Wynberg Girls’ High really signified the progress she had made. 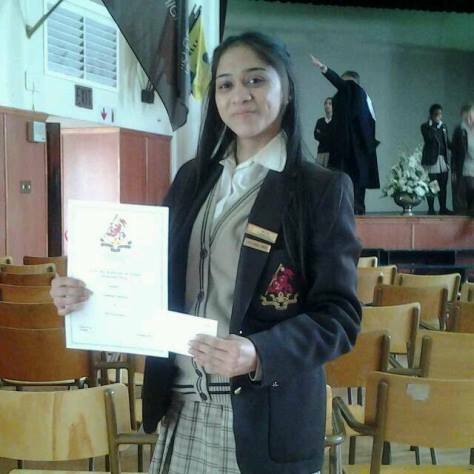 Out of almost 180 Matric students, she received an award for “Most Perseverance” (see photo attached). This was a huge milestone as previously Yumna had been “invisible at school” and her hard work and efforts were never recognised because of her academic results. This Award really set the “tone” for her Matric exams. 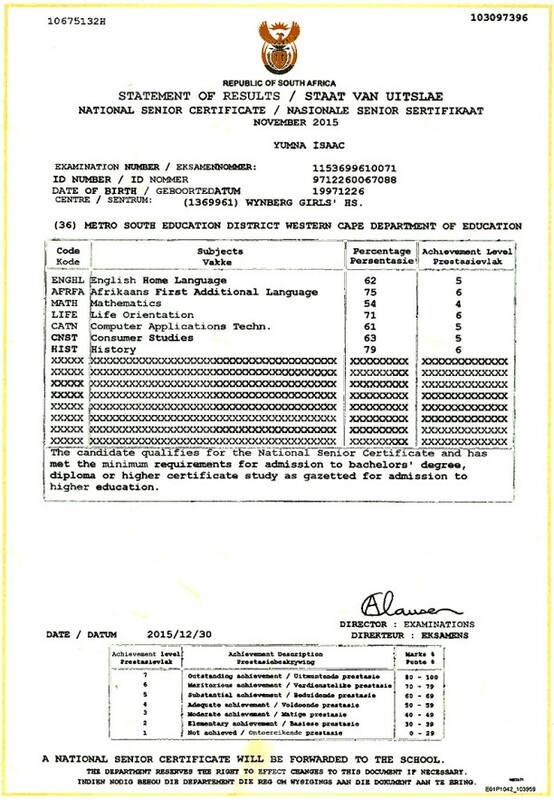 On the 6th of January Yumna received her Final Matric Results (copy of certificate attached). She achieved a Bachelor’s Pass and an aggregate of 66%. This was her first “C Pass”. In conclusion, with the help of Edublox and the wonderful teaching staff, and I am sure you will agree with me, Yumna’s final results is a reflection of her hard work, commitment and perseverance. In today’s world all attention is placed on the Top Academics and the number of distinctions (As) but from my perspective any student who goes from a 29% in History and ends with a 79% is deserving of recognition because a 50% increase is definitely better than a distinction as it is an indication of a student who has done her Best to Overcome all her Challenges!! !